After a crazy weekend I decided to just sit on my dock of the bay lol. I am relaxing in a brand new outfit from Tuttifrutti available at My Attic at the Deck, which is only open for one more day, so hurry. While at My Attic make sure to hit the subscribo, the original subscribo-matic list was lost, and a little birdy told me there is a free pair of pink mani’s and pedi’s from Flair in there for those that slap it again! The adorable mesh and materials-ready Tabita 1.2 style from Mina Hair is at the newest round of The Dressing Room Fusion, and the gorgeous Mokatana Diva Skin was Glam Affair’s FLF offering, I’m not taking her off!!! 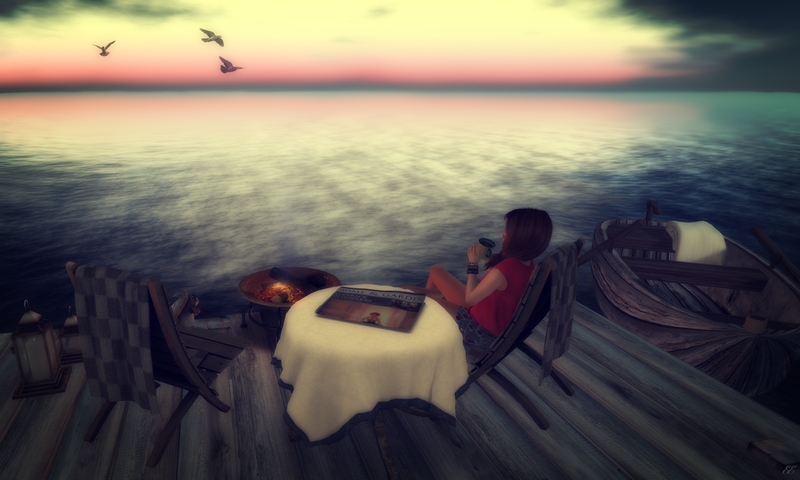 Posted in AnotherDamnSlBlog, iheartslFeed and tagged as +Half-Deer+, Flair, fri.day, Glam Affair, Glow Studio, Ikon, kusshon, Lisp, Maxi Gossamer, Mina Hair, My Attic at the Deck, Ohmai, SLink, The Dressing Room Fusion, The Loft, The TDR Fusion, TuttiFrutti, What Next.